This is as close to a real fire as you can get. With the beauty and warmth of a real log fire at the flick of a switch. 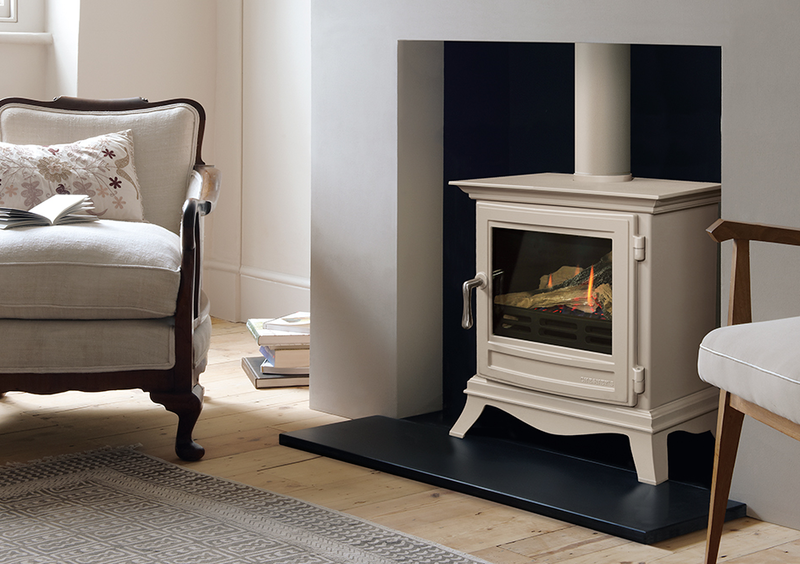 The new gas stoves form Chesney provides a heat output of 3.4 kW. It emulates the lazy flames and glow of a log burning stove, and offering a combination of efficiency and realism. Fuelled by natural gas it costs 10 pence per hour. to run. (Subject to fluctuation of gas prices). Safety is naturally of paramount importance, and Chesney’s Gas Stove Collection has been tested and certified by the UK’s leading independent test laboratory, as well as Chesney’s rigorous quality control systems to ensure that they all conform to the latest British Standards. There are 2 models, the Salisbury and the Beaumont, and both are available in 7 colours. Both models are design to work using a conventional flue method of installation. One of the main reason people choose a gas stove is for convenience. All Chesney gas stoves have a remote control device to allow you to control the height of the flame and the heat output from the comfort of your armchair. 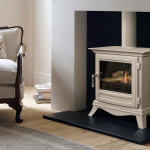 Chesney aim to make the gas stove as indistinguishable in its appearance from a natural wood burning stove. So after extensive experimentation their engineers have produced a fire that emulates the flame pattern of a real fire perfectly. The video below shows how realistic the Beaumont gas fire is.